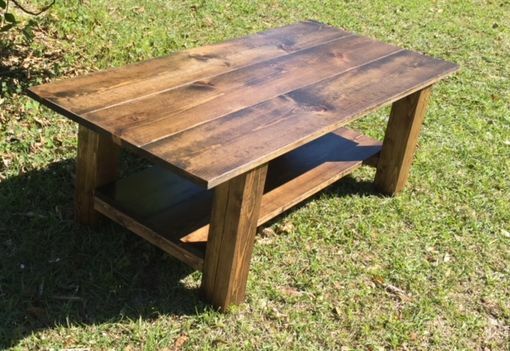 This reclaimed pine coffee table is stained dark walnut and shows character marks. The table stands 16" tall and is 22" wide by 48" long. 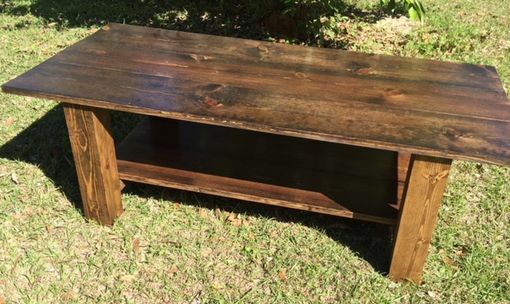 The lower shelf is 14" wide and 36" long. 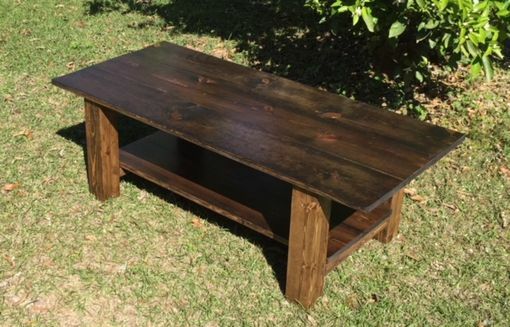 The pictured table is an example of the finished product, so if you prefer a different or contrasting color for the frame work, please contact us before purchasing to confirm all construction details.